Pursue a stimulating and diverse career as a healthcare professional with a Bachelor of Nursing from Victoria University. Studying nursing at VU will equip you with a broad set of skills to work as a general or mental health nurse. This course will open doors to a wide range of career opportunities in healthcare. VU’s Bachelor of Nursing will ensure that you have sound scientific knowledge and skills, as well as hands-on experience. You'll participate in simulation learning using modern technology, practising your skills in a safe environment before you work with real patients. Your practical experience alongside expert clinicians and nurses will have you ready to register and work as a Division 1 Registered Nurse. You'll join a cohort of VU graduates known for their extensive practical experience. If you have great communication skills, show initiative, and are patient and tactful when dealing with people from all backgrounds and cultures, nursing could be the career for you. We have strong industry connections with Western Health and Werribee Mercy Hospital. We also have partnerships with over 200 clinical agencies. You’ll gain valuable industry experience in your practical placements at some of these agencies. We also work with industry partners to regularly update course material so that it’s always relevant to current healthcare practice. We place a strong emphasis on clinical and practical learning. VU has state-of-the-art simulation technology and interactive laboratories. You can practise what you learn in a safe, supported, high-tech learning environment. During your clinical placement you will gain direct practical experience as a nurse alongside expert clinicians. These placements will provide you with confidence and a competitive advantage in the workforce. Nursing students receive work experience in the lab at St Albans Campus. Nursing is a diverse and flexible career choice. You’ll be equipped to work in metropolitan, regional and rural health agencies. The number of job openings for registered nurses is expected to be high in the next five years (Job Outlook). 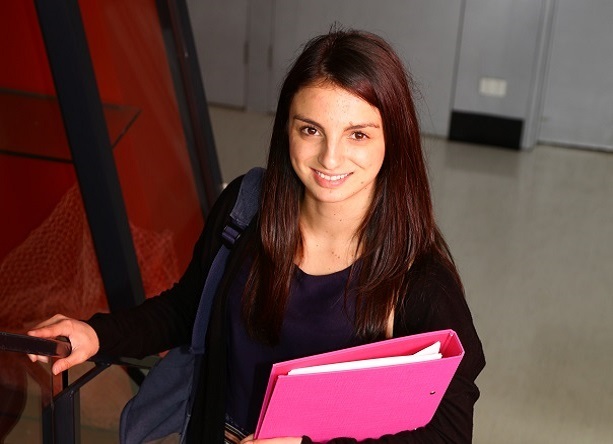 VU Bachelor of Nursing graduates are employed at a variety of organisations such as Royal Children’s Hospital, Royal Women’s Hospital and Royal Flying Doctor Service. The average annual salary for registered nurses in Australia is $69,888 (Job Outlook). 79% of nursing graduates in Australia were employed full time four months after graduation (GradStats). Double scholarship recipient Jessica Bonello was driven to nursing by childhood experiences. You will graduate qualified to register as a Division 1 Registered Nurse with the Nursing and Midwifery Board of Australia. This course is fully accredited by the Australian Nursing and Midwifery Accreditation Council (ANMAC). 12 credit points of Elective studies. 8. adopt a lifelong approach to learning. Units 1 and 2: satisfactory completion in two units (any study combination) of any Mathematics or Units 3 and 4: any Mathematics. Completion of two units of Higher Education studies in Nursing. Five years (minimum) work/life experience in Health Services or similar. Police check: Students must complete a National Police Records check prior to undertaking hospital/agency placements on an annual basis. Working with Children Check: Students must complete a Working with Children Check prior to undertaking clinical placements. Health status: Students must be prepared to declare their fitness for practice and immunisation status prior to undertaking hospital/agency placements. Browse our other Nursing courses or send us an enquiry to be notified of updates relating to this course.